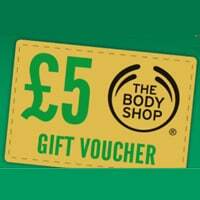 Get £5 voucher for free which can be spent for buying anything from The Body Shop. All you have to do is grab today's copy of DailyMail and inside you will find your voucher. Just take the voucher to the nearest store and redeem it. No minimum spend is required to redeem the voucher. Click on “GET IT HERE” button and then read full details about this giveaway from DailyMail.